Comments - Terrific design of a monkey on a leash climbing a pole to a small platform. 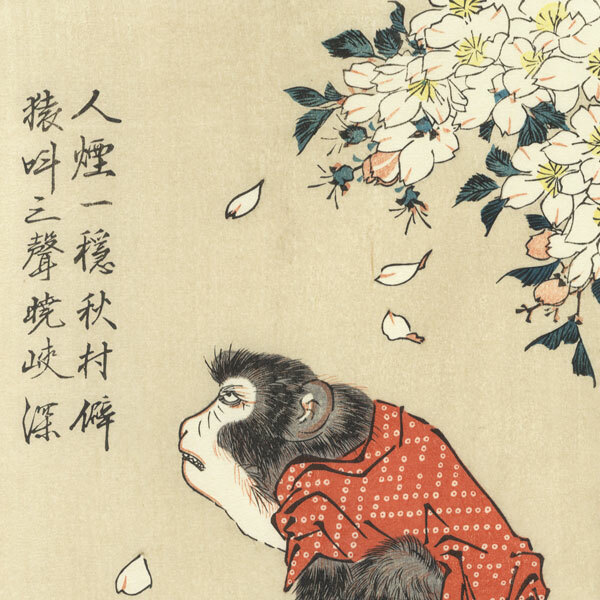 He wears a red tie-dyed kimono, and a shower of petals falls over him from the blossoming cherry tree nearby. A charming subject, nicely detailed.